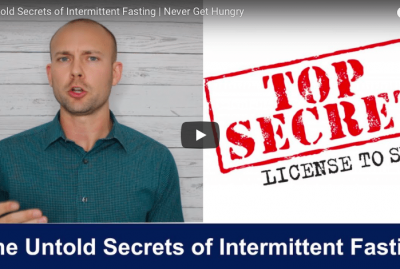 Bulletproof Coffee And Intermittent Fasting is a video that sets the story straight as to whether or not you are allowed bulletproof coffee while intermittent fasting. Bulletproof coffee and intermittent fasting is a interesting topic. I think the mis-interpretation of this topic stems from the bulletproof company itself. As fasting became more popular, they needed a way to keep coffee sales going strong. As a result, they have put some convoluted information out to make people believe that drinking 400 calories in butter and MCT oil coffee doesn’t break your fast. Though they never said it doesn’t, from what I see they gave tasset approval. Bulletproof coffee and keto is completely fine as eating a lot of fat on keto is a good thing. As a matter of fact, it is loved by many keto people as a way to sneak in a huge percentage of your daily fat intake. Bulletproof coffee intermittent fasting is not acceptable simply because your fast will be broken with the consumption of 400 calories of fat. It is completely acceptable during your eating hours. 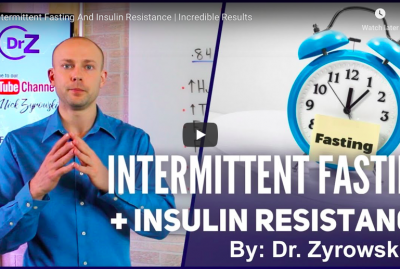 But if you want to get the true benefits of the intermittent fast then you’ll want to stick to black coffee. 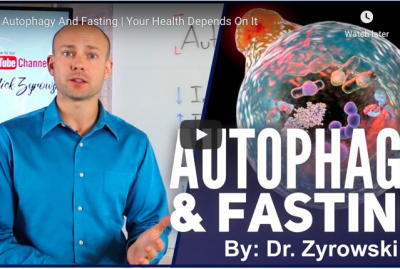 So to be clear, intermittent fasting and bulletproof coffee will break your fast. Bulletproof coffee and one meal a day is also an issue as the fast will be broken through the high amount of fat calories. If you want to get the full benefits of one meal a day then you should stick strictly to black coffee with minimal amounts of creamer. This will allow you to experience your best health ever. 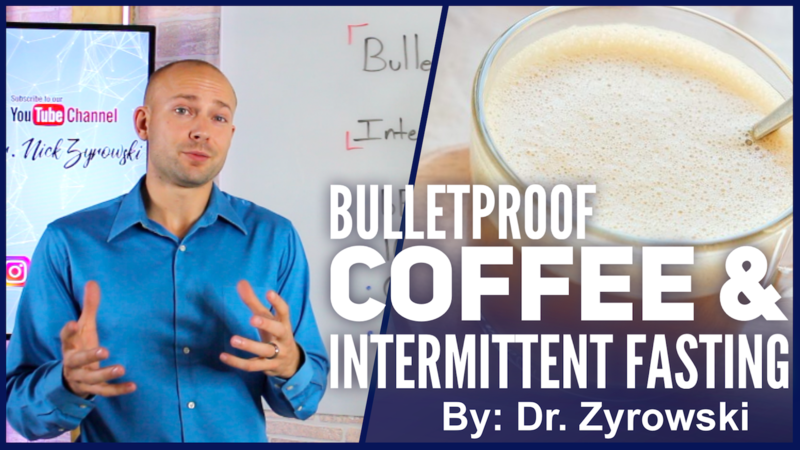 In this video we’ll uncover if you can consume bulletproof coffee while intermittent fasting. Hey its Dr. Zyrowski, and if you’re new to the channel it’s a pleasure to have you here. Be sure to subscribe and hit that bell notification, join our notification communities so that I can help you excel your health and your life. 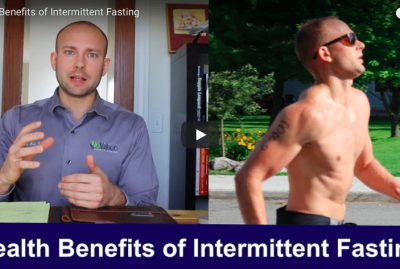 In this video we’re talking about bulletproof coffee and intermittent fasting. A lot of people will come to me and say hey I really love intermittent fasting and I really love doing one meal a day and I really love having that bulletproof coffee first thing in the morning. So this is where things get a little bit dicey so let’s talk about it. 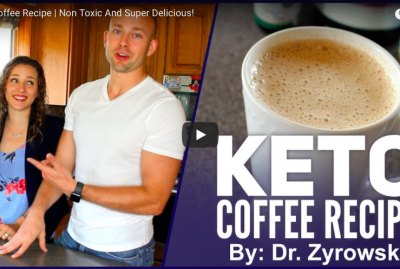 So, when we look at a bulletproof coffee essentially what we’re doing is we’re taking a cup of black coffee and we’re mixing in a blender a tablespoon of MCT oil and 2 tablespoons of butter. And what this equates to is about 400 calories in fat. 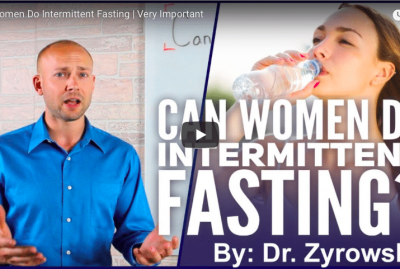 When we’re doing intermittent fasting, that’s fasting for 16 hours and eating your meals within an 8-hour period. So let’s say you’re waking up first thing in the morning, and you drink that bulletproof coffee, and then you have another four to five hours to go in your fast to hit that sixteen-hour mark. Well when you wake up first thing and you drink that bulletproof coffee and consume 400 calories in fat, you by all means are going to break your fast. Now when we look at this bulletproof coffee, I understand that some people are doing it as a gateway to get to the full 16 hours of fasting. So they’re having a hard time getting to that full 16 hours. So, they use it as a gateway to kind of just help them as a crutch to get there. And I think that’s completely acceptable completely fine because you’re using it in order to get to a better lifestyle, in order to improve your health, so that you can eventually do the real deal. Now when we’re looking at one meal a day, here’s another thing that comes up. A lot of people are doing bulletproof coffee first thing in the morning or in the afternoon. And they’re saying I really like it because it allows me to do one meal a day and it energizes my brain and gives me that all that fat for energy. But once again you are breaking your fast with 400 calories of fat. The other argument when it comes to one meal a day and breaking your fast with the bulletproof coffee; is some people are saying “well the problem with it is that you’re consuming 400 calories”, and that’s basically like a small meal and it’s not very nutrient dense. So when we look at 16:8 and we look at one meal a day, one of the things that we have to understand is that a bulletproof coffee 400 calories are going to break that fast. The only thing that we really want to have is maybe a coffee with very small amounts of cream. So, black coffee alone or black coffee with very minimal amounts of creamer in it. And that’s how you’re going to get the true benefits of 16:8 or OMAD. Now the other question that comes up is, “is the bulletproof coffee Keto”? And the answer to this question is most definitely. And as a matter of fact I think this is where a lot of confusion comes in as many people see it as keto. And they know that they can have it on keto so then they think you can also do it well intermittent fasting. And so if you want the full benefits of one meal a day or intermittent fasting don’t drink a bulletproof coffee during those fasted hours because it’ll break that fast. But you can definitely do it with keto because it is loaded with a high amount of fat. And many people really like it on keto. And the reason for that is because it has so many calories of fat in it that it helps you get to that level of fat that you want to consume on a daily basis. Because that’s another question I get a lot. And people will say “well how in the world am I going to consume that much fat in one day?” Well if you’re consuming 400 calories right off the bat with your coffee that’s a pretty good start. So to sum it up, a bulletproof coffee will indeed break your intermittent fast. Be sure to LIKE this video. If you have any questions formally post it in the comment section below, and I’d really appreciate it if you subscribe to the channel here, and then check out my other videos because they’re going to help you improve your health in so many ways.